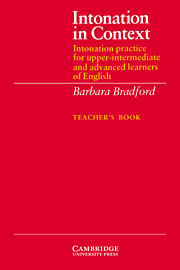 Intonation in Context is for upper-intermediate and advanced learners of English who want to improve their intonation. It aims to make learners aware of the main features of intonation and provides enjoyable activities for both controlled and freer practice in a range of conversational situations. Intonation is presented as a system which has an important communicative function in any interaction between speaker and listener. Learners first explore the meaning conveyed by the parts of this system before going on to a variety of production exercises. 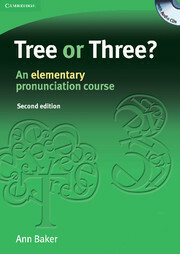 The book is intended to be used alongside any general coursebook to provide a systematic and accessible introduction to this often neglected area of pronunciation. The easy-to-follow explanations assume no specialist knowledge of the subject and the accompanying CD provides clear models, making this an excellent choice for both classroom use and self-study.